Many people get the modern day, web design equivalent of writer’s block. 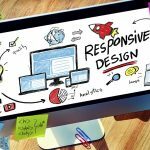 As a web designer or graphic designer, you’re constantly challenged by the pressures of making sure that client work has been completed, your own website is up to date and most importantly, you’re staying ahead of the curve with your designs. If you’ve been in the same role for several years, it’s very easy to hit a plateau and stop being innovative. The best way is to always spent 30 minutes a day researching the latest web design trends. You’ll be surprised how quickly you can overcome the block and put ‘mouse to screen’! A very experienced, retired web designer and developer. I am now an avid blogger, researcher and all round obsessive! 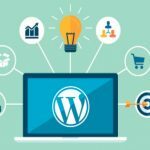 Should your join the bandwagon and use WordPress too? 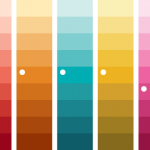 Which colours to use for your new website design?